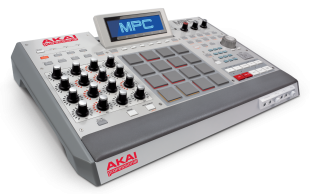 In my day job I am the software lead for Akai's MPC product line. This is a product I'm immensely proud of, and I'm very proud of the the work the software team puts into this iconic music controller. Over the last few months we've been producing in-house videos for the new releases we've been baking here at Akai towers. The more recent of these have been shot completely in-house; I purchased a Canon 70D and some lights, and rigged up a Heath Robinson autocue. It's all shot in our development offices. Usually unnecessarily late into the night. We love creating these videos, and connecting directly with the passionate MPC users.